Evangelist Franklin Graham congratulated American underdog Maya DiRado, who won a gold medal for the 200 backstroke in Rio Olympics and is a Christian, saying her "winning attitude goes far beyond swimming." 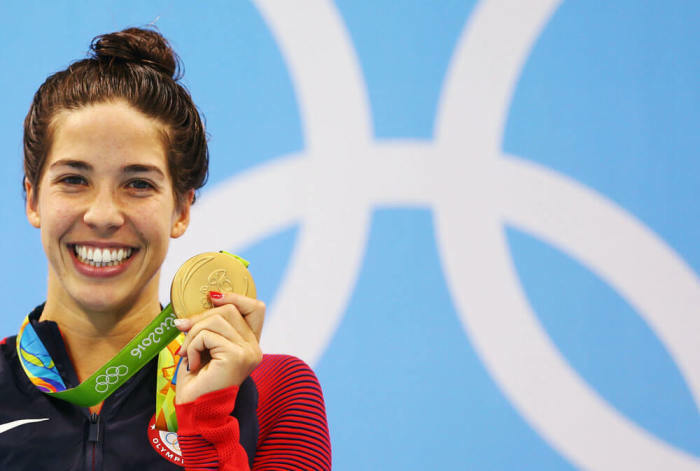 "This young woman's winning attitude goes far beyond swimming. She recently told reporters, 'I don't think God really cares about my swimming very much. This is not my end purpose, to make the Olympic team. I think God cares about my soul and whether I'm bringing his love and mercy into the world,'" Graham wrote in a Facebook post Saturday. DiRado is retiring after the Olympics. She finished the 200 backstroke in 2:05:99 and now has two golds, a silver and a bronze medal, making her one of the breakout stars of the meet for the American team, according to USA Today. "God loves you–He cares about your eternal soul," added Graham, president of Samaritan's Purse and Billy Graham Evangelistic Association. "That's even bigger news than the Olympics." "I was raised by two strong Christians in my parents, Marit and Ruben," DiRado told Christianity Today. "I always attended church growing up but started questioning my beliefs as a teenager. They were supportive of this and, through some investigating and lots of reading and talking with mentors, I came to know and follow Christ and make my faith my own." There are many other Team USA athletes who put God before sports. The Christian Post has identified 10 such Olympic athletes. These include diver David Boudia, gymnast Simone Biles, track and field athlete Allyson Felix, basketball player Kevin Durant, golfer Bubba Watson, soccer player Tobin Heath, swimmer Michael Phelps, gymnast Gabby Douglas, track and field player Trayvon Bromell and swimmer Missy Franklin. "In 2008, diving was my god. It was a forced competition," Boudia said in a 2012 Beliefnet report. "(Now) It's more about what I'm doing to share my purpose but not forcing it on people. God is providing this platform so He can reveal Himself." "I'm currently a work in progress and like anyone else I face struggles every day. My goal is to be more Christ-like each and every day and that is not an easy task," Felix said earlier in a Beyond Ultimate report. "I know that I'm trying to be something different from [other Olympic runners] and after I run I hope that people can distinguish [Christ-like] character in the way I present myself." "If you see being a role model as a platform where you can pour into others for Jesus with love, that's where I want to be. Becoming known or noticed in my sport isn't what's drives me to work hard and want to be the best I can be," Heath said in a Beliefnet report. "It's Jesus. That's why I play. I play to glorify Him."